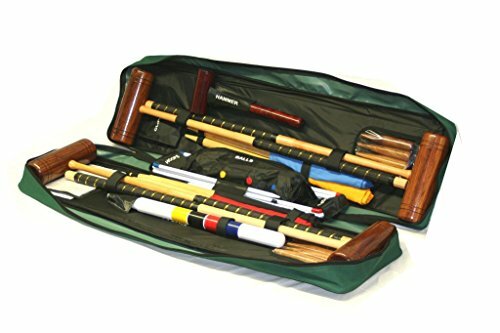 A basic full-size 4 player croquet set in a practical Tool Kit bag. This allows the bag to be opened completely giving you full visibility of the set and features integral straps to secure each item securely in place. Probably the best value full-size set in a bag that can be found. A great back garden set for the family.